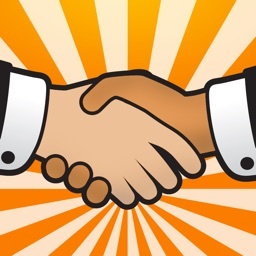 iProfit by Setting Sales Inc. These days every penny counts. Accidentally mistaking Markup for Gross Margin is a sure way to leave money on the table. 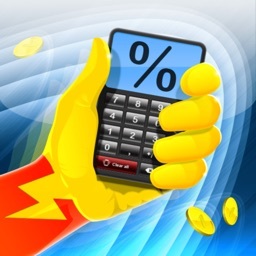 For fast, accurate and straightforward price calculations iProfit is your tool. Calculating Markup is intended to add quantifiable profit on top of cost. Applying the correct Gross Margin calculation ensures that there is pre-determined gross profit once a price has been established and the costs have been subtracted. iProfit computes your target price with a few key keystrokes. 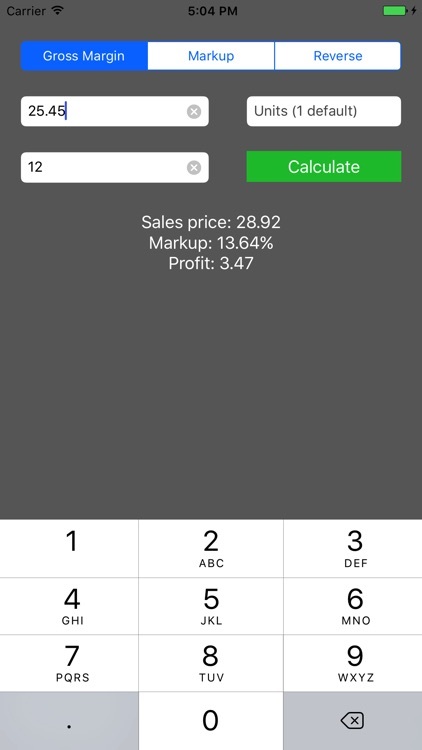 iProfit will instantly calculate your Sales Price and will display both Markup and Gross Margin. Never again accidentally reverse your calculation and give away critical profit margin. You input two fields and the rest is calculated for you in a split second. Know your price and cost? 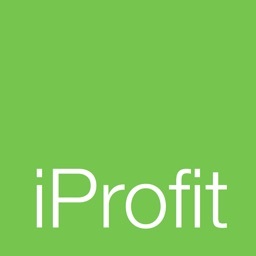 iProfit will instantly calculate your Gross Margin and Markup. Have a target Markup percentage that you want? 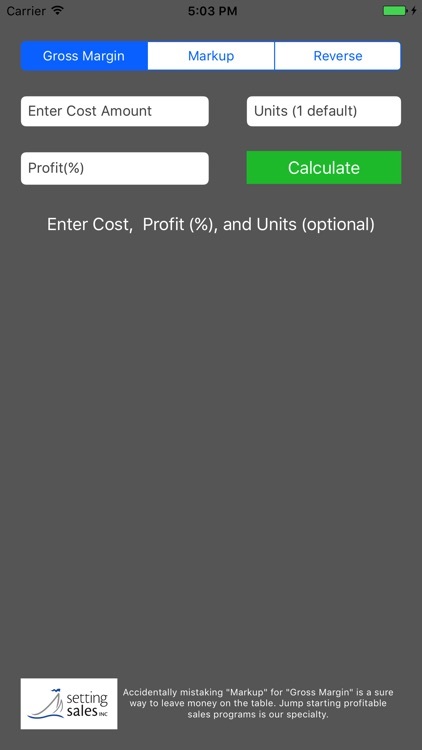 Input your Cost and choose Markup percentage. 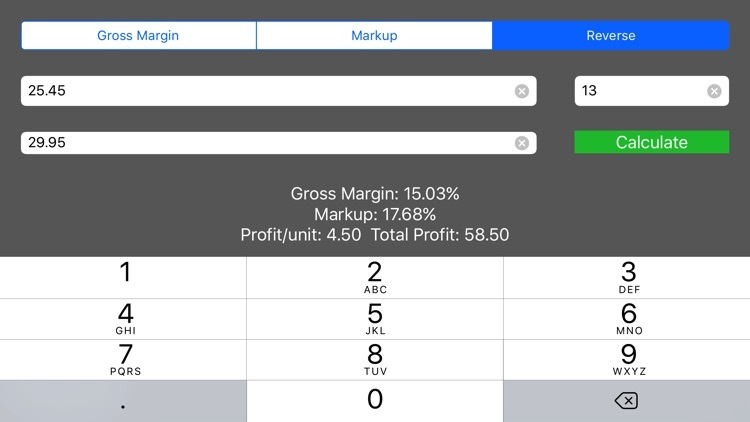 Instantly your Sales Price, Markup and resulting Gross Margin are displayed. 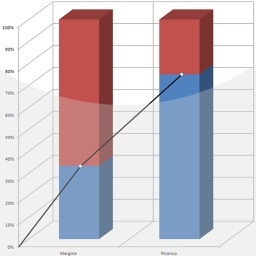 Know what Gross Margin result you want? 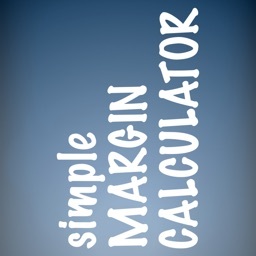 Input your Cost and choose Gross Margin percentage. 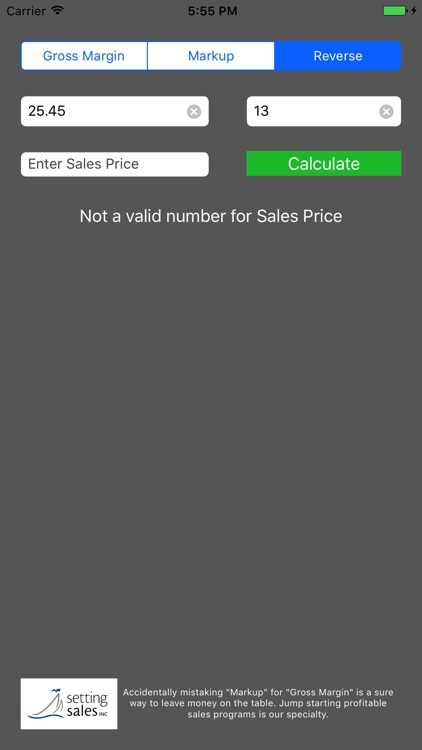 Instantly your Sales Price, Gross Margin and Markup are displayed. 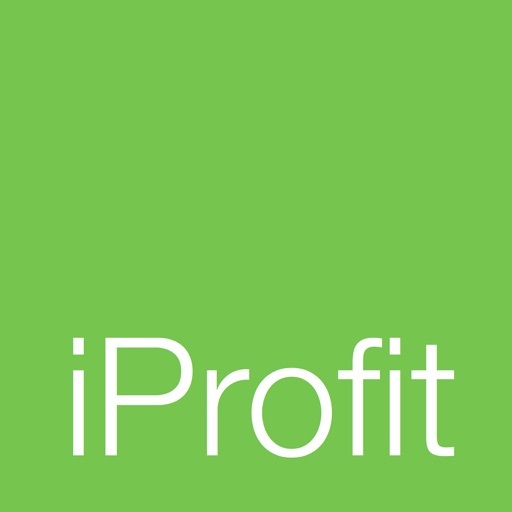 iProfit is designed to help you get to the right selling price fast.